"Hey, your sock game is strong!" is a phrase we never thought we would say. However, it's 2018 and here we are. We even have sock influencers. It all makes sense, though. 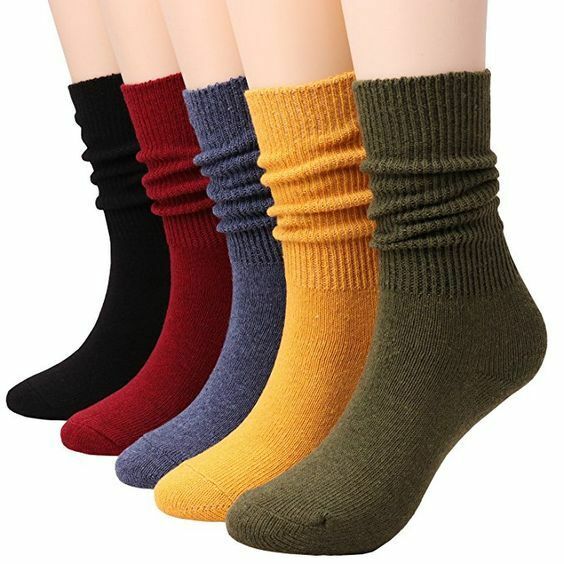 During the summer, socks were the number one accessories you needed to consider every time you were going to sport your chunky, dad sneakers or you were brave enough to try the socks and sandals trend, and now, during the fall, it's the same accessory that will go hand in hand with your ankle boots (and even your mules). So, no matter if you are a fan of black, patent, colorful, metallic, or brown ankle boots, a pair of cool socks can add a nice touch to your whole outfit with little to no effort. However, you have to keep in mind that not just any pair of socks will do, though. Now that everybody is catching in on this trend, the Internet has become a tough place to find the ones. Sure, you might have a few favorite pairs of socks from the past season, but trust us—it’s time to freshen up your sock drawer and expand your collection. That's why we've searched high and low for the 10 best socks to wear with ankle boots (or any of your fall-friendly footwear) according to you (aka the consumer). 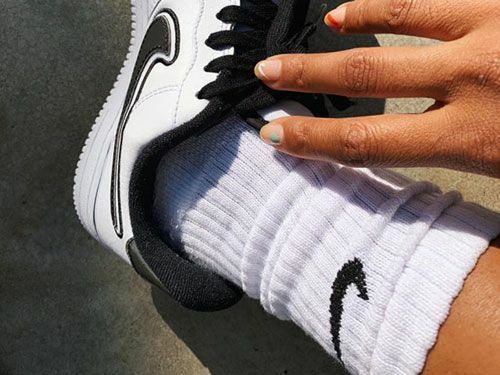 From colorful and sheer polka-dot pairs to white Nike "dad" socks, scroll on to find the socks that you didn’t know you wanted—until now. When it comes to comfort, these socks have 4.2 out of 5 stars, and for under $15, that's a good deal in our book. According to reviews, these look luxurious IRL. We can't help but agree. Yes, 141 reviews can agree that these 4.5 out of 5 star socks will be your go-to pair this season. These are comfortable, cute, and (the best part) they don't slide. You don't have to be an athlete (or a dad) to enjoy these socks. If you follow the reviews, you'll want these in every colorway. These are (and look) great just keep in mind that you need to wash them in the delicate cycle. Who doesn't need an army of black socks for the fall? All hail these cozy socks that have five stars on Amazon. Want more socks? Find cute affordable ones here.